Great Tips for Selling your Home in the Spring! Spring is here and that means home buyers will be flooding the market looking for the perfect house. Competition will be very strong, but not impossible to match. If you are considering selling your home here is some great advise to give it the appeal it deserves! Make sure your realtor is super active. They should be posting on social media, websites, and wherever else they can spread the word. Make use of color photos that are flattering to your house. Pictures attract eyes. Mail out postcards/fliers that include financing options to surrounding neighbors and colleagues. Someone might have a family member or friend that they can encourage to move into their neighborhood. Show it off with flare! Here are some tips for when you need to schedule a showing. Doing simple things can go a long way in drawing appeal to a property. • Embrace light lively colors! Whites can create the feeling of clean space. Pastels and bright colors celebrate the season of life. Brightening things up can also give a positive notion to others. • Make your floors look brand new. If you have a wood floor, now would be a good time to schedule a special cleaning to give them a good high gloss. Use extra elbow grease on that linoleum. You wouldn’t believe how dirty porous tile or linoleum can get until you truly scrub. It may take extra time, but it’s very much worth it. Same thing with carpets. Hire a professional rug cleaner. This will add a bonus of giving off a clean scent. We know how much people love kick-knacks, but now is not the time to show them off. Take your surface clutter down to a few items per surface if possible. Also, think about the things you are displaying. Might be a good time to put away an art piece that might be considered risque to some. Who knows if the buyers might bring children. This makes a space much more appealing. Then the buyers can focus on what they actually want to see; the house, not your things. If a space seems too naked or you’d like to add some flair bring out some fresh cut flowers. Not only do they add ascetic, but can make a space smell nice. Choose an arrangement that does not have too strong a scent for those that might be allergy-prone. • Open the windows to air the space out before a showing and clean all curtains and blinds. Fresh air is underestimated, especially after winter. Most folks can’t wait to feel a nice breeze to remind them of the beloved season. It can help deter any kind of musky or lingering unwanted smells and bring a fresh feeling to a space. Any window dressings will need a professional wash and press. Make sure your house has curb appeal. Pick up garbage. Plant a little garden. Add some edging. Trim the bushes. This can turn a “drive-by” into a stop! 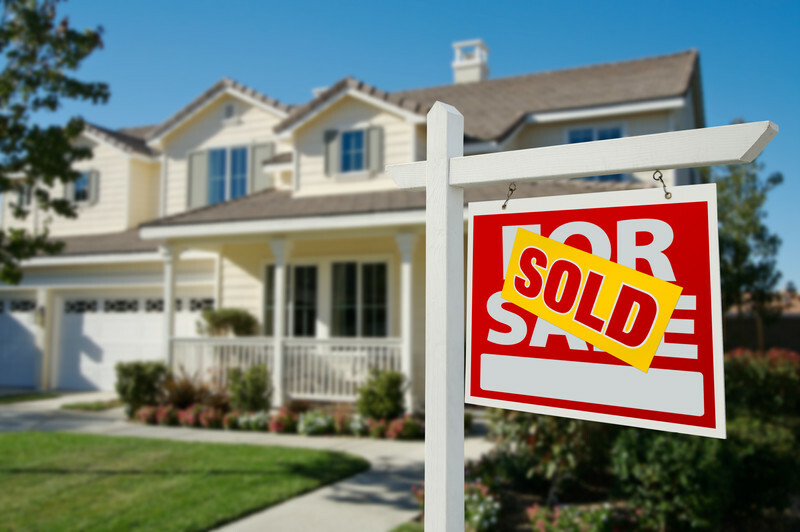 Using these tips can take your “For Sale” to “SOLD”!